Customize and connect your home automated systems with Control4. From Home Theater and Audio to Home Security and Lighting, Control4 has you covered. Control4 your home or office. A fully automated system controlled with just one app. Tired of having to use different remotes for your cable, DVD player, TiVo, gaming system, and other components? We hear you. Let us simplify your life by putting all your video needs under a single command. We can automate your lighting options for the perfect level of illumination for your needs, whether for reading, relaxing, or security. This includes the use of motion sensors so lights turn on and off automatically when you enter or exit rooms. Audio systems are tailored to meet your needs, covering music, home entertainment, gaming, intercoms, and business communications. And all controlled from one convenient place. Imagine the peace of mind that comes with being able to monitor your home from anywhere at any time. Or to unlock your doors with just the swipe of a smartphone, or share “virtual keys” with family or visitors without having to copy new physical keys. These are just a few of the benefits of a smart home. Take control of nearly any appliance including thermostats, smoke alarms, sprinkler systems, stoves, or virtually anything else powered by a computer. Our systems can even learn from your appliance usage patterns and make adjustments automatically. Maintaining the right temperature in your home at all times is an excellent way to save money and conserve resources. This involves much more than simply setting a thermostat. 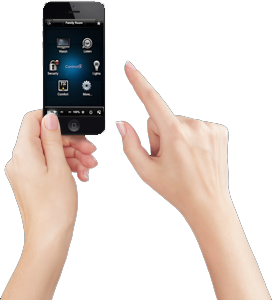 Control4 has a solution for integrating every automated function throughout your whole home or office. This includes phones, gaming systems, sprinklers, wireless controllers and interfaces, irrigation systems, intercoms, and much more. 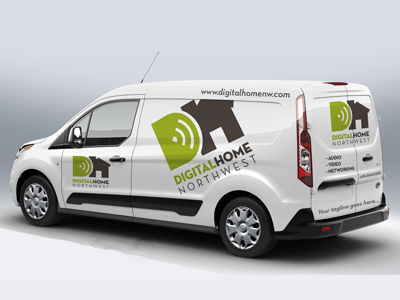 Contact Digital Home Northwest with questions about any particular device or service you wish to automate. Let us design a home of the future to meet your lifestyle, needs, and budget.